This one edged out Empire Burlesque and Knocked Out Loaded as having the most horrible album cover to grace a Bob Dylan album — was the cover photo taken right after Dylan woke up in a homeless shelter? Nonetheless, this collection of solo renditions of traditional folk songs works quite well. Dylan is surprisingly invested in the material. The selection of songs is good, like a page out of the Carter Family songbook or Harry Smith’s Anthology of American Folk Music (and “Frankie & Albert” the opener is best known for appearing on the Anthology as “Frankie,” performed by Mississippi John Hurt, though Lead Belly recorded it as “Frankie and Albert” too). This was the right time in his career to make this album too. He had a lifetime of listening to folk music to pick just the right ones to record, and with the benefit of advancing years he can perform them simply and faithfully and still sound convincing. 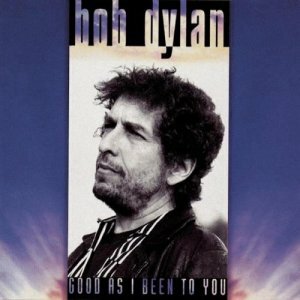 It might not be a major achievement, but Dylan would not ever make another album better than this for the rest of his career.